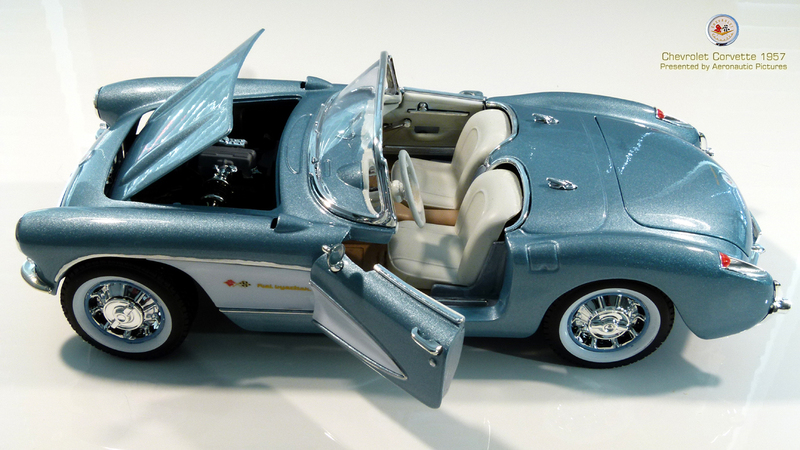 This is another release from Lucky Die-Cast in the Yatming Group. 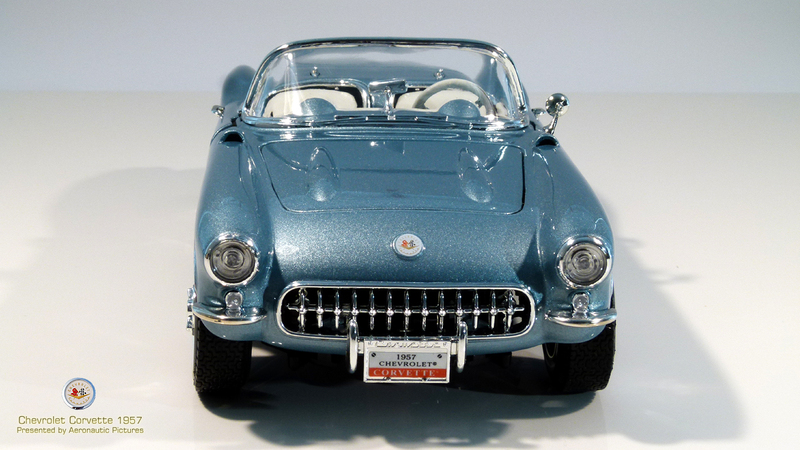 This very model car from 1957 is produced by other makers as well: Maisto and Burago. Maybe the moulds are identical, I have no proof on, but we have seen before makers buy moulds from each others. 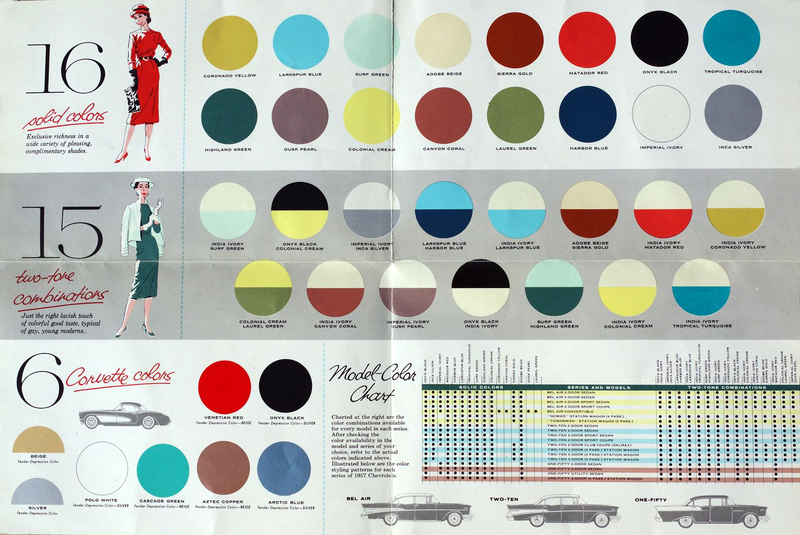 In 1957 when the car came to the market, they only came in six colors: Red, black, white, copper, turquoise and blue. 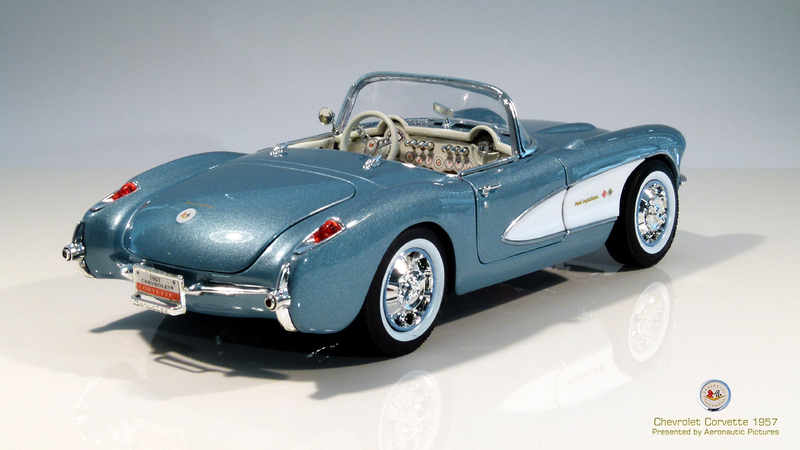 I have always had a keen eye to the blue metallic one, with the correct name of Arctic Blue! 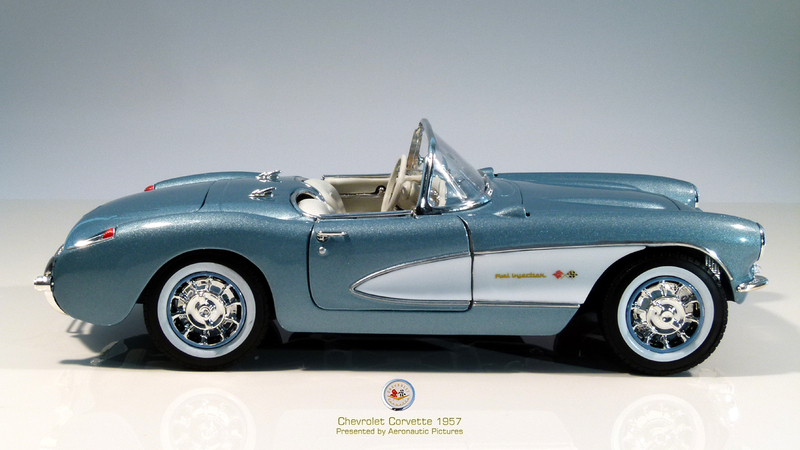 Only Lucky Die-cast has the 57´ in Arctic blue in scale 1:18. 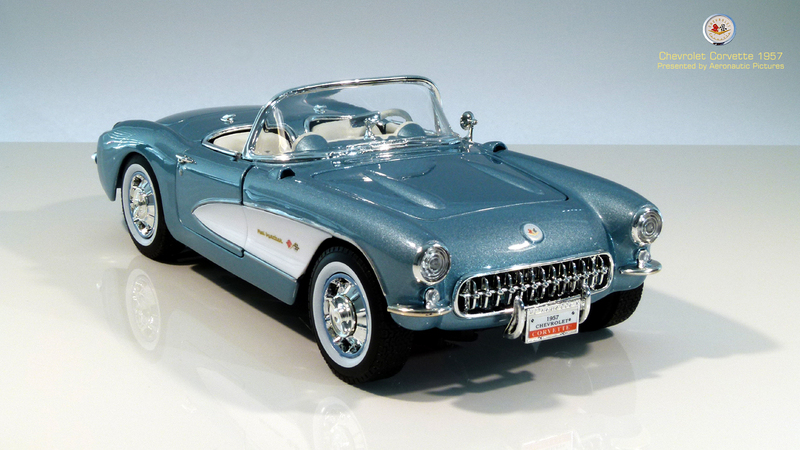 This little car – is a big little car. 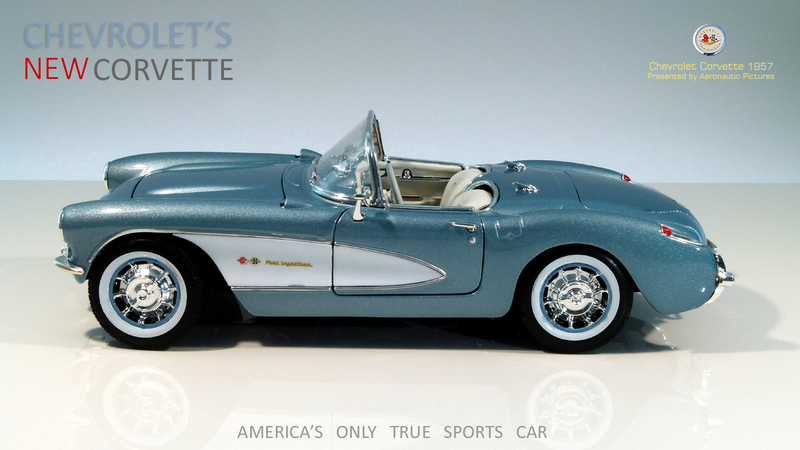 Try to park it beside a 1957 Mercedes Benz 190, The Corvette looks like it is in another scale! 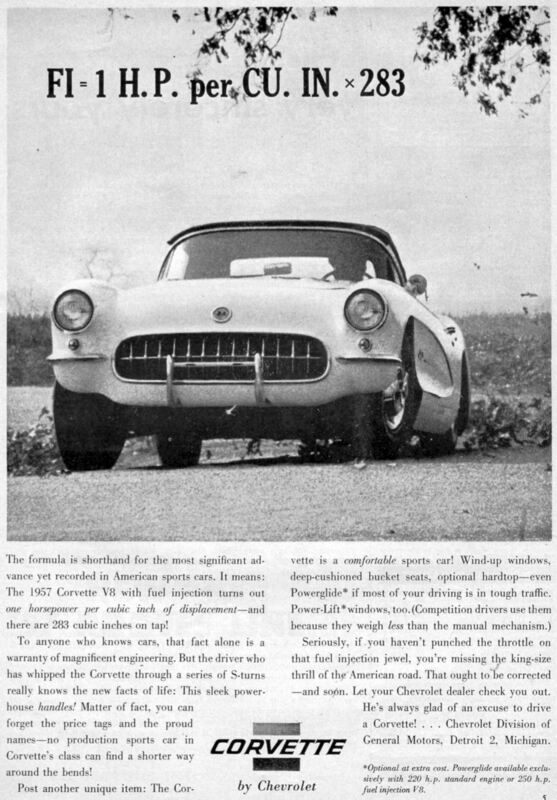 Corvette 1957 is a predator. From the start you unpack this model, you will notice at once, how well prepped and painted this model is on the die-cast body work. 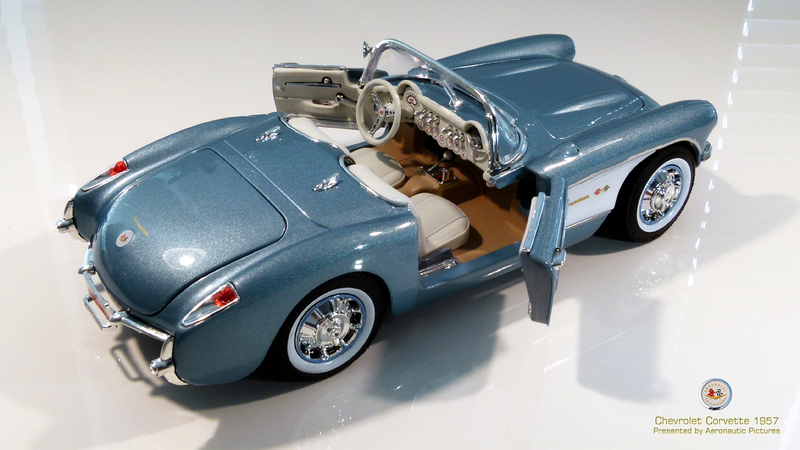 This light blue metallic color is perfect applied and the varnish and polish shines like a real car. 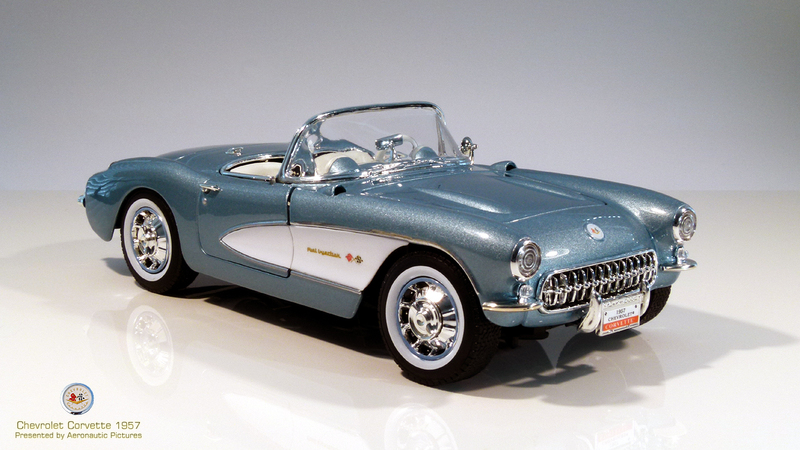 Here in Europe the model is one of Lucky Die-Cast lesser expensive model at a sales price just over 27.00 Euros. And if we look more closely on the other parts it could easy become a bargain. But this is not a bargain! - with a closer inspection of the other parts, the hole model looks and feel a bit cheep to say it a least! The whole under part of plastic parts, on this model is so horrible in quality that you won’t believe it’s from the same maker, as the well made die-cast over body part. 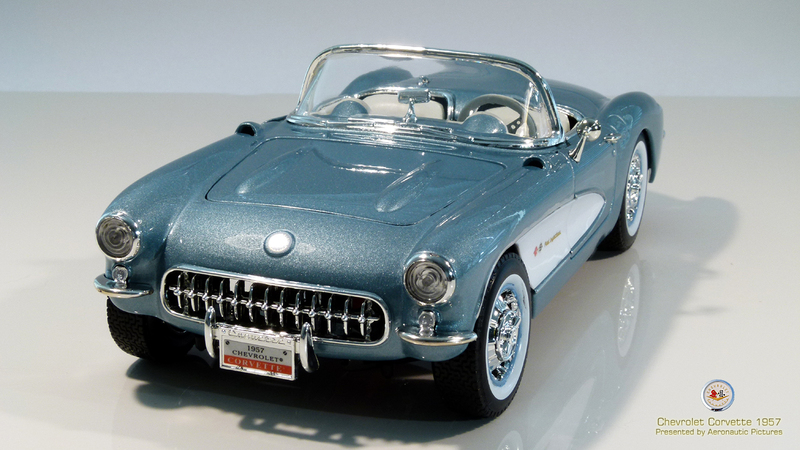 The plastic itself are poor quality and bristle, that you shall think over how you park the model. The front wheels sharfts are very delicate and can break off if you not handle the parts with care. There is a big chance that the front wheels become standing skew over time; therefore I plan to replace the shafts to a metal rod, to give more strength. The worst parts on the model are the tires! They are way to wide and the tire tread look if they are for a 2x2 pickup truck. The plastic is hard and glossy and looks if they are for a toy car. 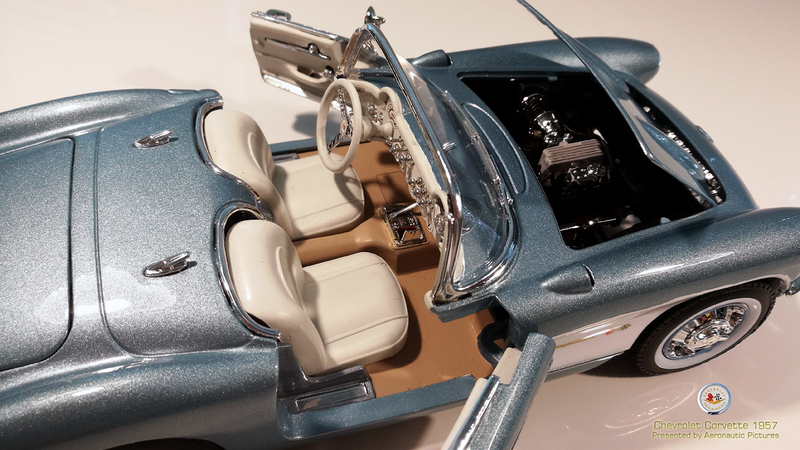 Let’s try to look at the other parts this model car is made of; firstly look at the chrome, the little roaster have a sparse chrome trim, but all the chrome included looks fine and shines realistic when polished by a soft cloth. The only issue here is the steering wheel that needs some extra chrome. 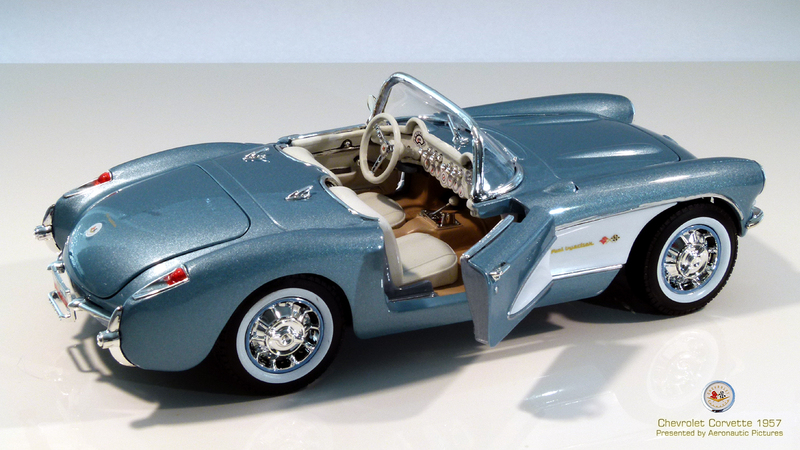 Corvette 1957 is a model where all doors and lids can be opened and that is a great feature! The gabs are notable but acceptable all in all. If we open the hood the 283hp Fuel injection V8 motor is revealed with a fairly amount of details, but some of the chrome parts had to be reduced by grey and black paint. 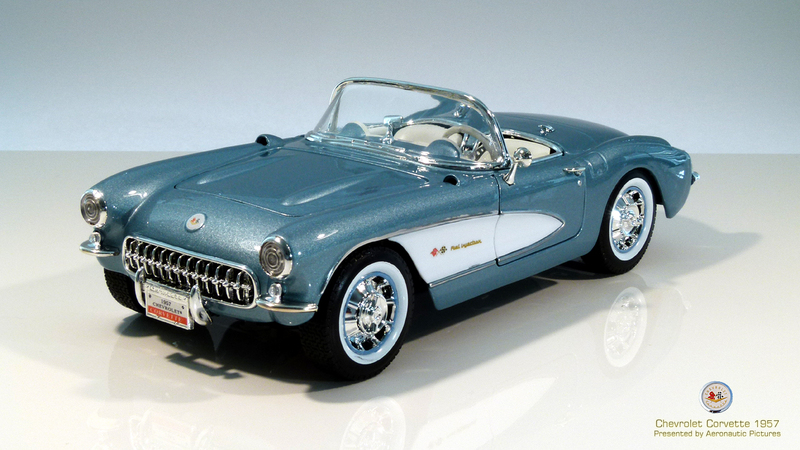 The model wheels had also to be modified, first the tires need flat black paint, and the hubs on the corvette shall match the color of the body. At the center the hubcaps is well made from the factory here. When we see the model in profile one notice the chrome trim around the front wheel well and white sideboard is missing. Luckily Molotow Liquid Chrome pen was with in reach. 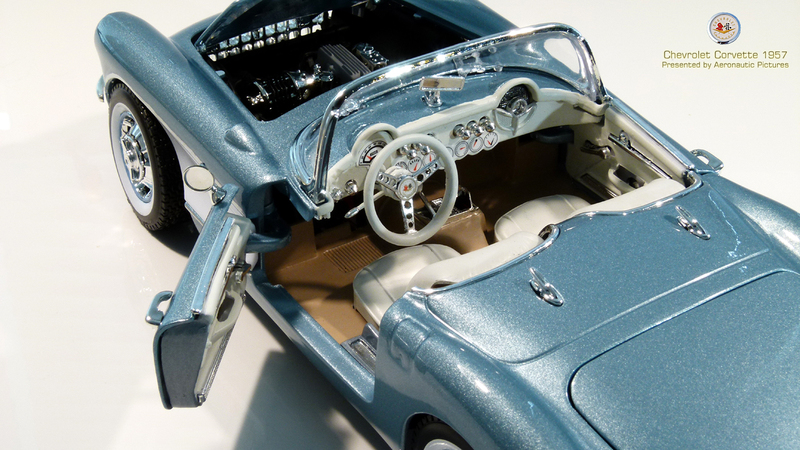 When we look at the interior of the car, it’s obvious that it all had to be repainted due to poor plastic look. 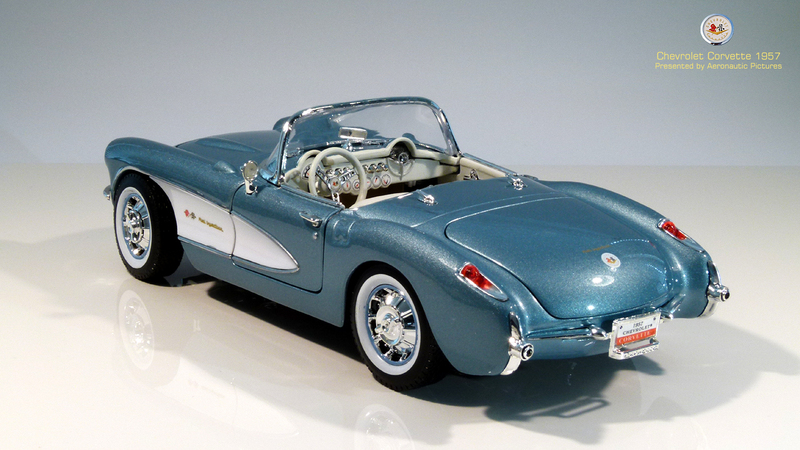 Therefore the model was dissembled and all parts were painted in right colors. 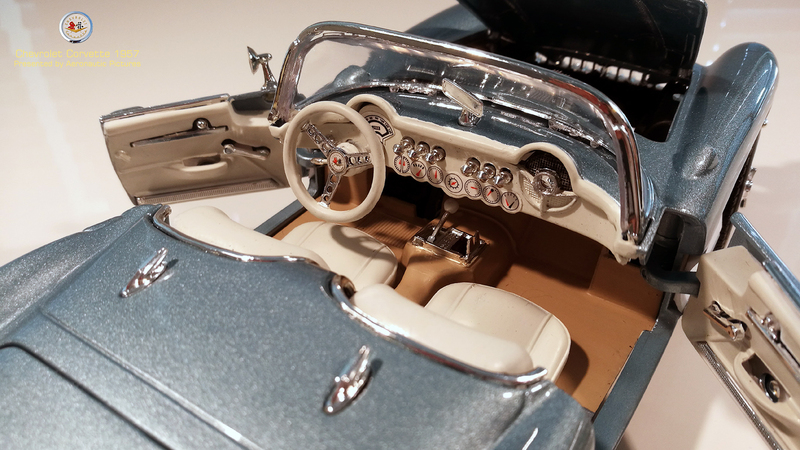 The instrument panel includes a dashboard and a sticker of instruments. This sticker could carefully being removed and later placed over the newly painted dashboard. 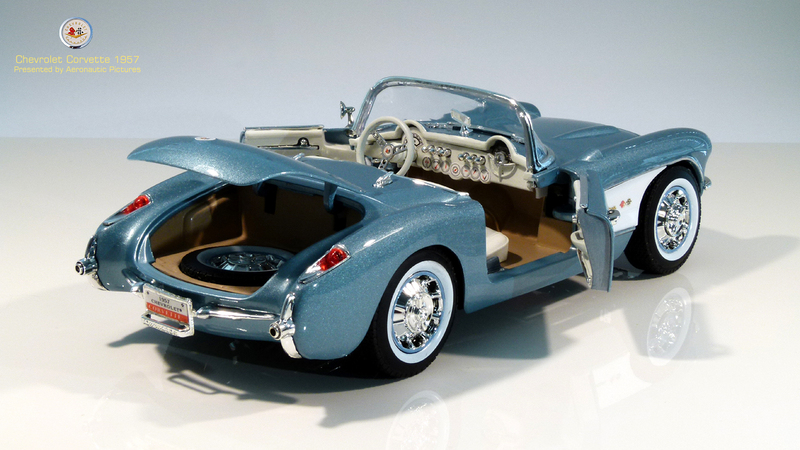 After the seats, doors (back and rear side) was painted along with the sand-color carpet the interior emerge a bit more realistic. Back in the trunk the spare tire resides, but on the real car the spare tire is concealed under a floorboard in the trunk (if the wheels have been narrower to scale, it could have been possible for the maker to solve this more accurate. 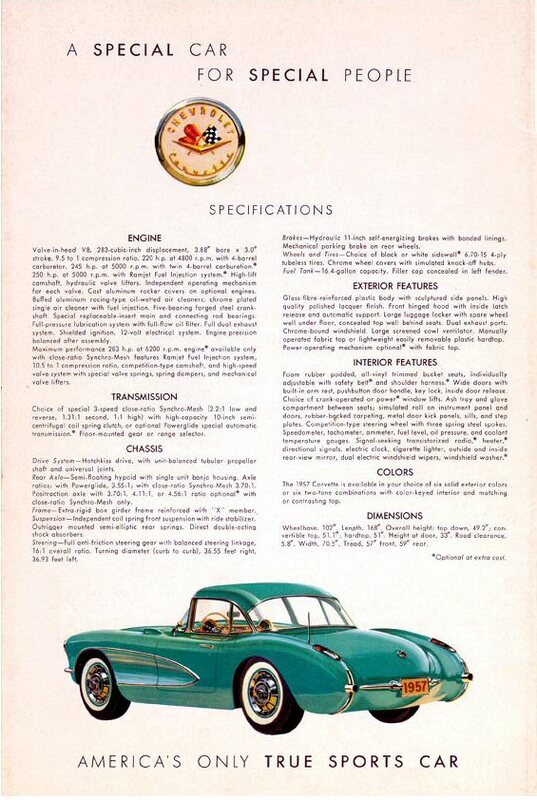 The plastic parts of windows and lenses are all well made and the little car has good emblems (for a model at this price range) on front, fenders and deck lid. But it’s a shame the white part on the side of the front fenders and doors is made of plastic. So is this model a bargain? No not at all, but its cheep in price…But sadly also in product quality. 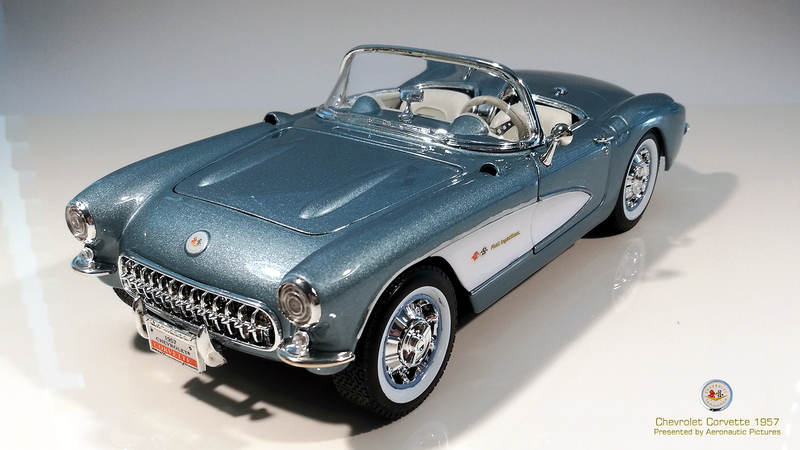 The paint is fantastic and chrome is good, but it needs a little tenderness. 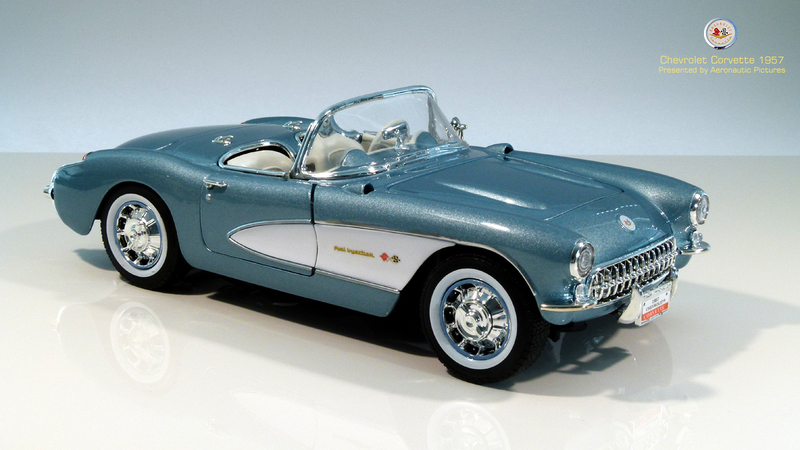 So even if you lay some time and effort in it, the result will still be a cheap model car! 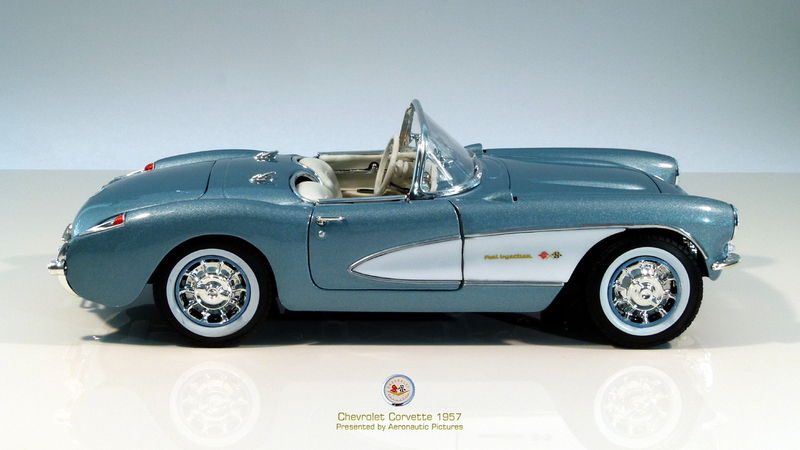 If you are willing to spend 6 X times more, AutoArt make some fantastic Corvette’s 1958! I use to recommend a model to you regardless of pro and cons, but in this case I will say spend you money on a other model. The tires is way to wide on this model! 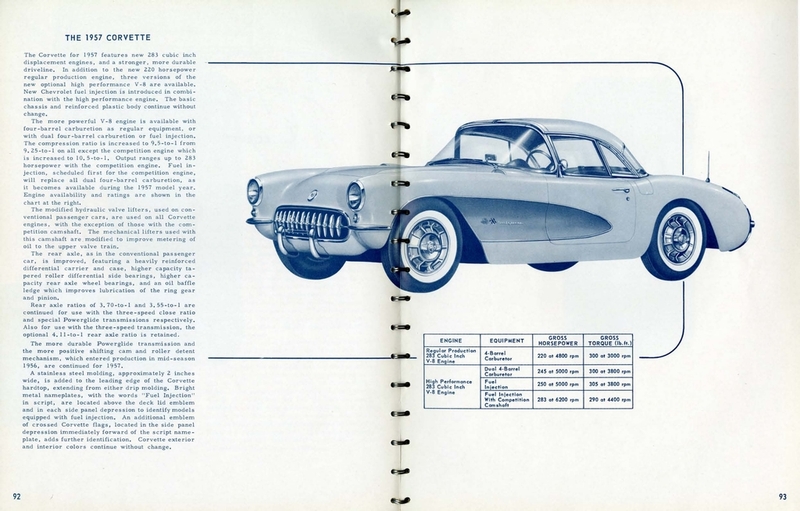 Since the Corvette's rocky introduction in 1953, its designers have faced a vexing challenge: how to profitably build a sports car that can compete with Europe's best while carrying a price tag that Chevrolet enthusiasts can aspire to. 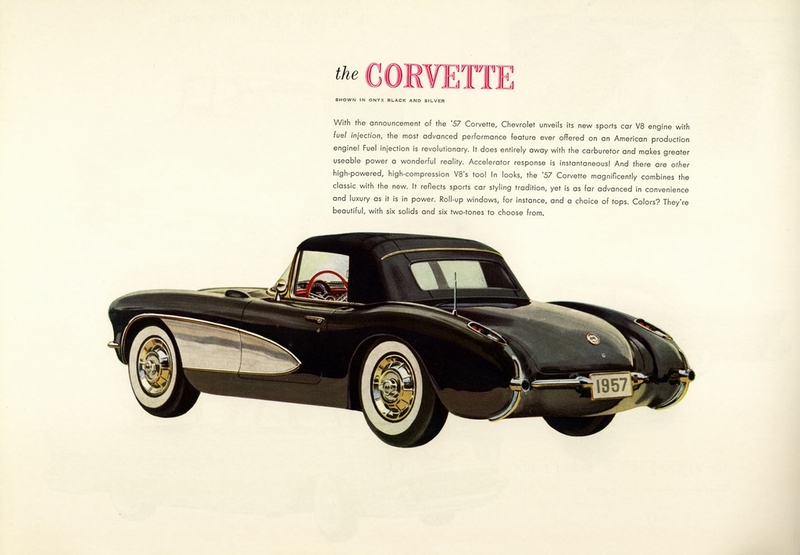 At times, the formula has been wildly successful, at times slightly off the mark, but since the introduction of the all-new 1956 Corvette, America's sports car has consistently delivered exciting performance and exotic styling at a price that, while not necessarily affordable to the masses, has at least been attainable for more than a few lucky owners. 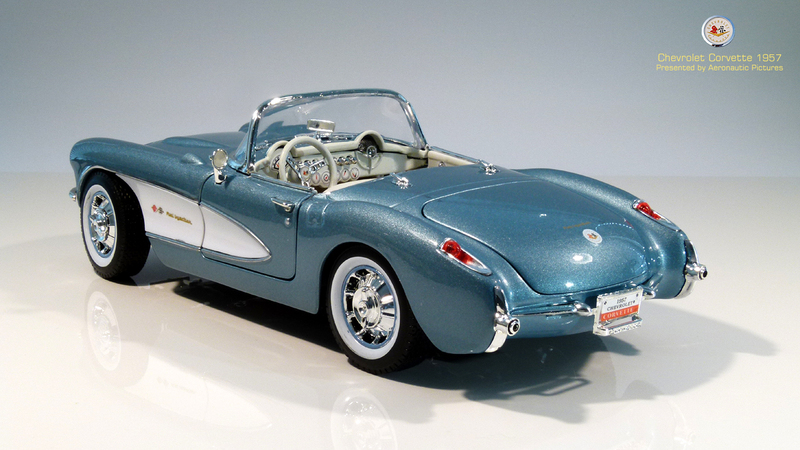 For 1956, the 'Vette's knockout performance came from a 265-cu.in. 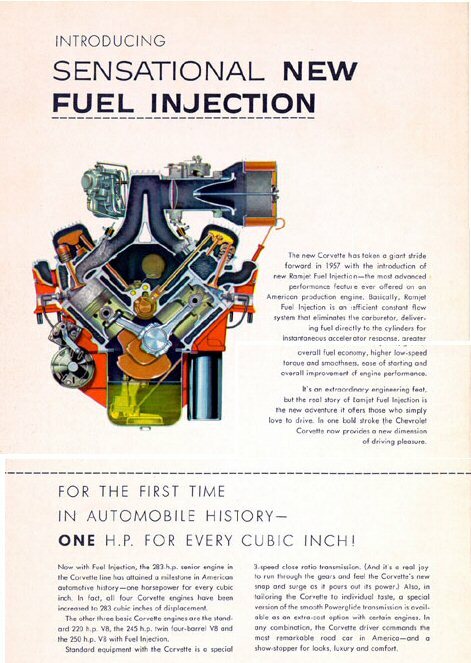 Chevrolet small block--a world-beating power plant, consistently voted one of the greatest of all time, and one that would power Corvettes for more than three decades. 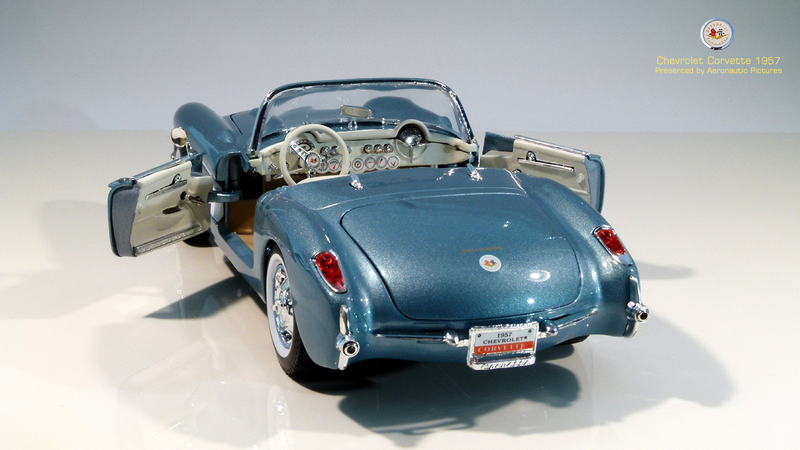 GM designers shot for the moon when they emulated the 300 SL--in its day, an exotic supercar on par with the 2008 Mercedes-Benz SLR McLaren. 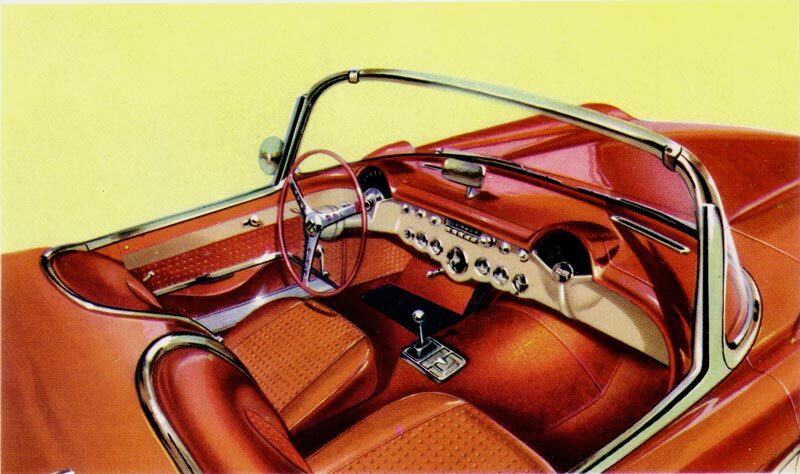 But while the Corvette might have shared some of the legendary Benz's looks and impressive acceleration, Chevrolet kept the car more affordable than the 300 SL by building it on a conventional steel ladder frame chassis with a fiberglass body. 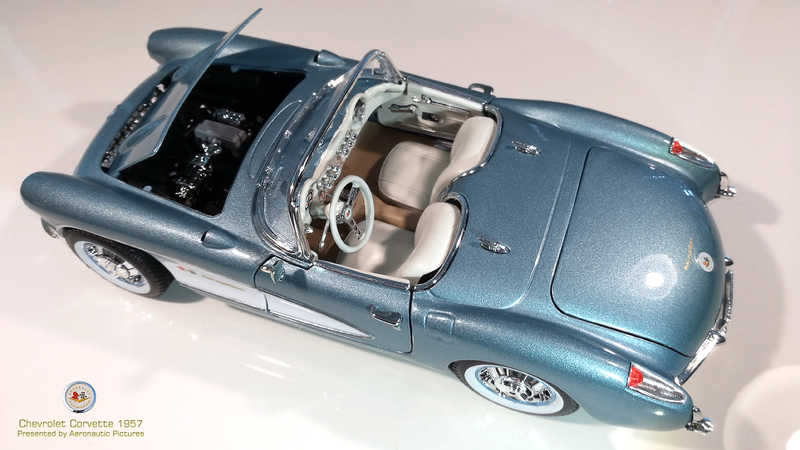 By comparison, the race-bred Benz was built on a tube chassis that weighed a mere 110 pounds and was clad with an aluminum hood, trunk lid and doors. 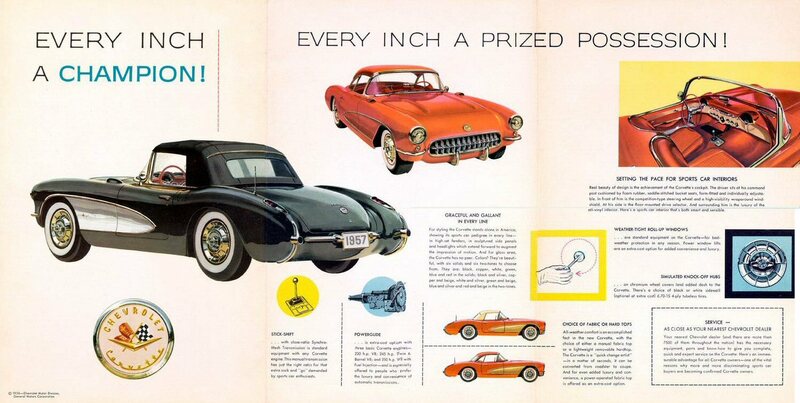 Additional conventional touches linked the Corvette to its passenger-car siblings in Chevrolet's lineup and distanced it from the less-successful 1953-'55 Corvette. 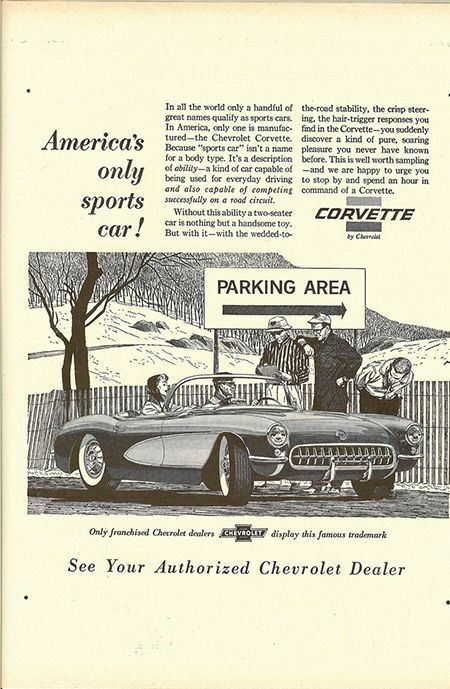 There were now chrome door handles and door locks, as well as roll-up windows and an optional power convertible top--though not necessarily exotic, these details made the new Corvette a better fit for the mainstream American sports-car buyer. 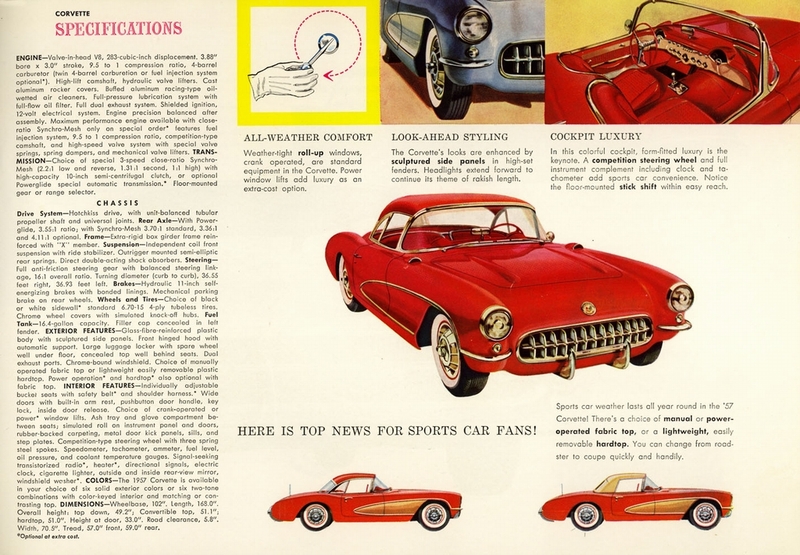 Automotive journalist and Hemmings Sports & Exotic Car columnist Karl Ludvigsen called the '56 Corvette "A real traffic stopper," in a Sports Cars Illustrated review of the then-new Chevrolet. 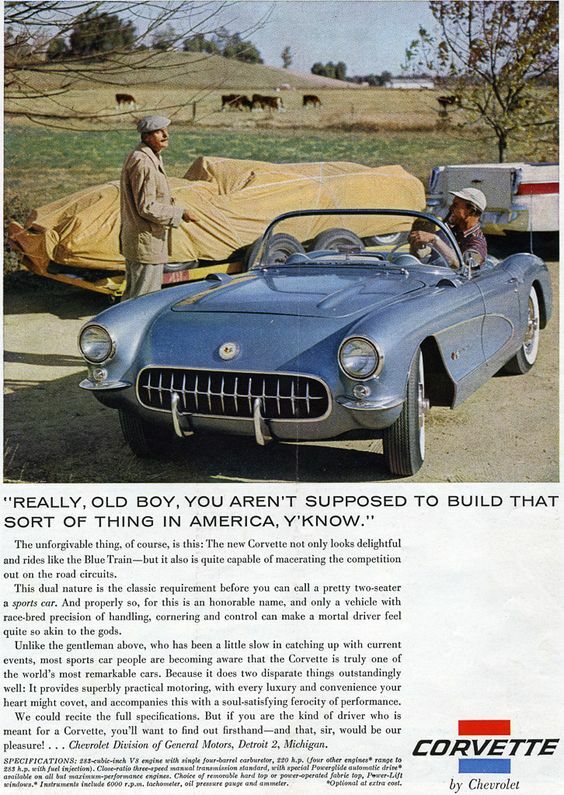 "Without qualification, General Motors is now building a sports car." 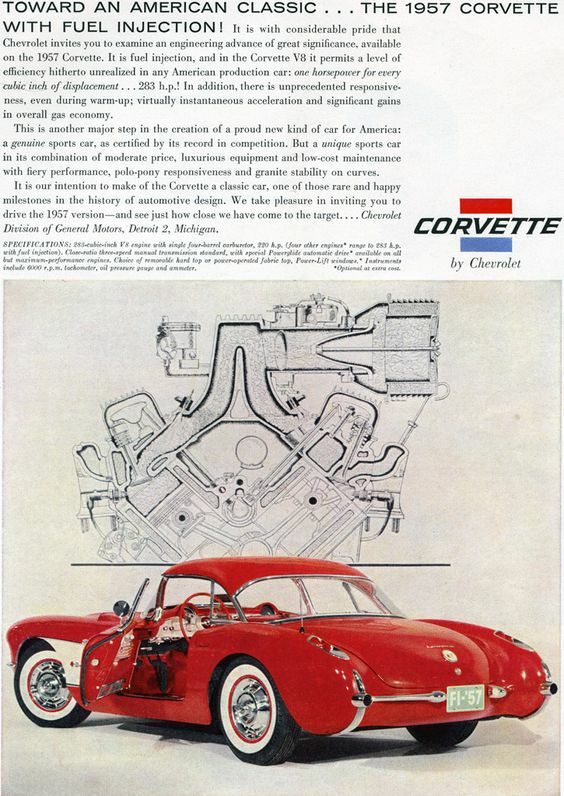 For 1957, the Corvette's styling didn't change, but Chevrolet moved the car even closer to the 300 SL with the addition of a mechanical fuel-injection system called out by a trio of badges, one in each of the Corvette's signature coves and another on its trunk lid. 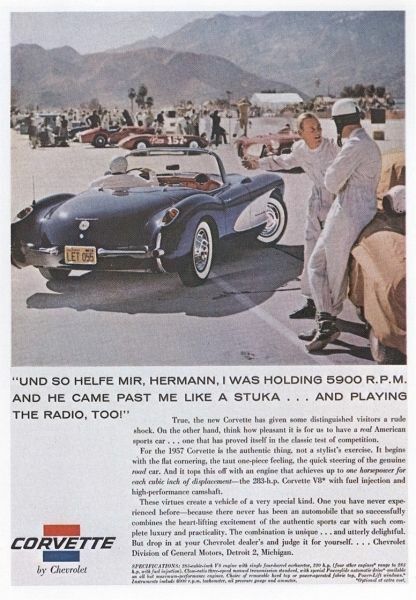 The Corvette also matched the 300 SL's four-speed manual transmission, with a unit supplied by Borg-Warner. And just to make sure that the world took notice, the 265-cu.in. Small-block was enlarged to 283-cu.in. 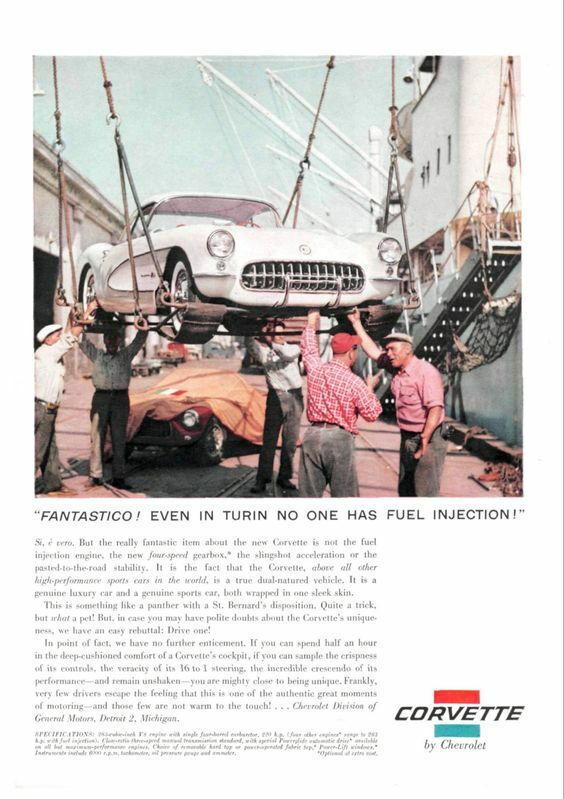 Buyers were offered two versions of the engine with fuel injection: the first with hydraulic lifters and 9.5:1 compression, and the now-legendary 283hp 283 with a solid-lifter Duntov cam and 10.5:1 compression. 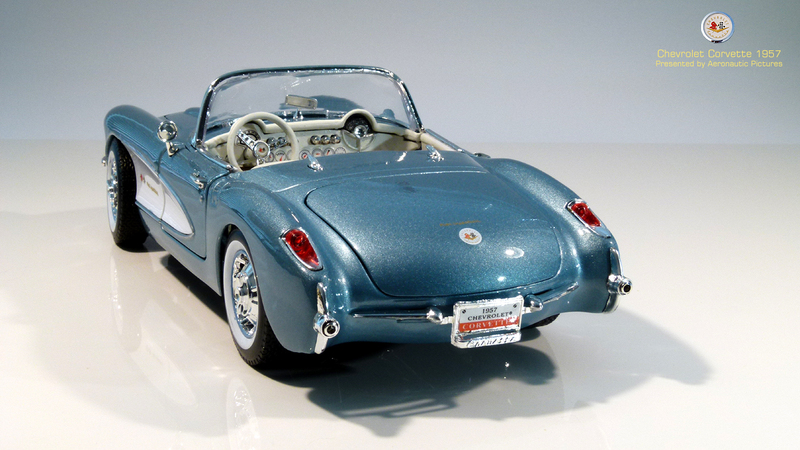 Was Chevrolet's Corvette comeback kid a Mercedes-Benz 300 SL imitator by design? 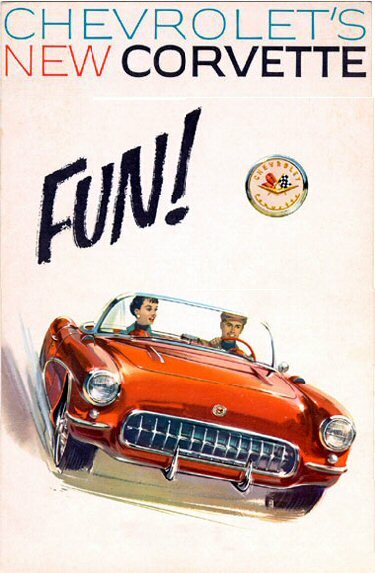 Perhaps; But while M-B aimed future versions of its SL straight at the deep pockets of the Beverly Hills set, Chevrolet remained true to building a world-class sports car with a distinctly American accent. 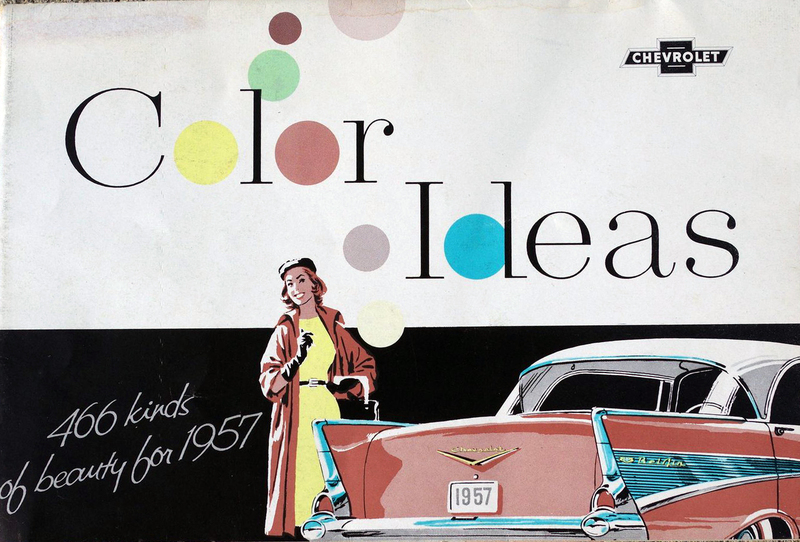 The marketing people had started to become aggressive with the competition. 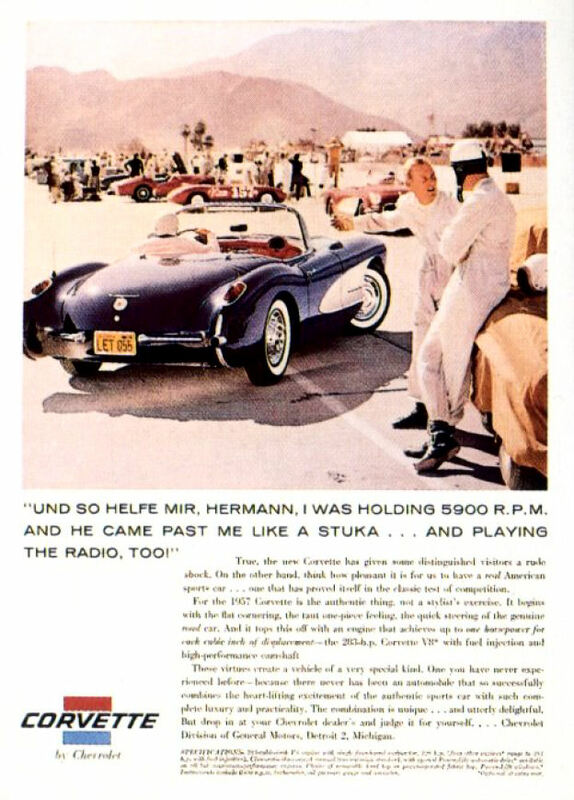 This was the start of a series of ads that continued for many years, pointing out that the imports did not entirely own the sports car world.